IT ministry informs Parliament that websites were blocked for objectionable content. Lack of data on arrests under section 66A draws flak from activists. New Delhi: The Modi government has blocked 2,388 websites for objectionable content in 2018, nearly double the 1,329 websites it blocked in 2017. The Ministry of Electronics and Information Technology informed Parliament last Wednesday, 12 December, that the websites were blocked under rule 7 of Section 69A of the Information and Technology Act, 2000. “The number of social media URLs blocked/removed during the last 3 years (sic) under the provisions of rule 7 section 69A of the IT Act 2000 are 587, 964, 1329 and 2388 for 2015, 2016, 2017 and 2018 (up to 31.12.2018) (sic) respectively,” Minister of State for Electronics and Information Technology S. S. Ahluwalia said in reply to a parliamentary question by BJP MP Janardhan Singh Sigriwal. The reply also revealed that the National Crime Records Bureau stopped collecting data on the number of arrests made under Section 66A of the IT Act since 2016. 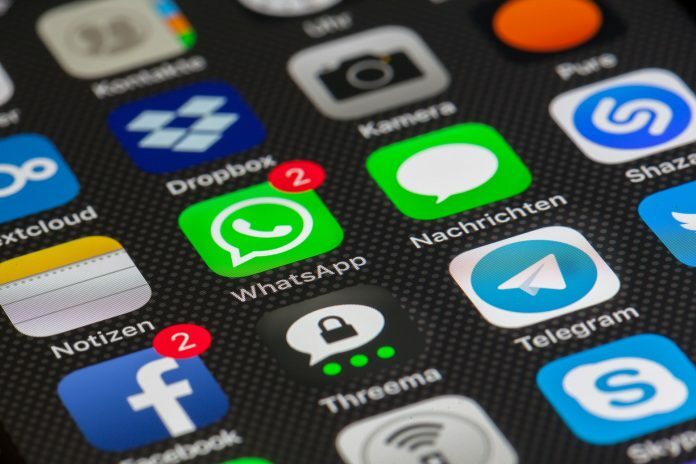 Section 66A is a controversial provision that criminalised sending ‘offensive’ messages online, which the Supreme Court struck down in 2015 for being too ambiguous. Prior to that, the reply said a total of 2,423 and 3,137 were arrested under sections 66 and 66A in 2014 and 2015 respectively, according to NCRB data. The revelation has drawn flak, with many pointing out that Section 66A is far from dead on ground. As recently as September this year, Veeramreddy Suman Reddy, 29, from Guntur in Andhra Pradesh was arrested under Section 66A for allegedly cheating 507 people out of money by impersonating a woman on a dating app called Locanto. The lack of NCRB data then, is “a huge data tap turned off that could help map abuse”, the Internet Freedom Foundation tweeted Sunday. One of the organisation’s executive directors, lawyer Apar Gupta, has co-authored a paper ‘Section 66A and other legal zombies,’ along with lawyer Abhinav Sekhri, in which the duo write that “right from the police station, to trial courts, and all the way to high courts, one finds that Section 66-A is still in use despite it being denied a place on the statute book”. The 2,388 URLs blocked in 2018 for objectionable content are independent of those ordered by India’s courts. Just two months ago, in keeping with an order of the Uttarakhand High Court, the Telecom Regulatory Authority of India (TRAI) had ordered internet service providers to block 827 websites containing adult graphic content. The government’s power to block websites was written into the IT Act through a 2008 amendment, enforced from October 2009. Rule 7 of Section 69A of the IT Act, under which the 2,388 sites were blocked, lays provisions for a “Committee for examination of request,” wherein “the request along with the printed sample content of the alleged offending information part thereof shall be examined by a committee consisting of the Designated Officer as it chairperson”, along with officers not below the rank of joint secretary from the Ministries of Law & Justice, Home Affairs, Information & Broadcasting and Indian Computer Emergency Response Team, as according to the IT Act. S. S. Ahluwalia’s parliamentary reply, though, maintained that the “government is fully committed to the freedom of speech and expression and privacy of its citizens as enshrined in the Constitution of India”. For the Internet Freedom Foundation, however, “a core issue which is often coming up for internet freedom in India (especially censorship) is the opacity of government action”. “While data gathering has become easier, its public and proactive publication is being hindered. This arouses greater distrust and citizen apathy,” the organisation wrote on Twitter.